With over 40 years of experience we know a thing or two about taking proper care of your vehicle. We choose the right technician for the job which gets you back on the road quickly. Our main goal is Keeping Your Wheels Turning! B&G Services is committed to continual automotive education. We require that all of our technicians receive the appropriate certifications to meet the growing demands of our industry. 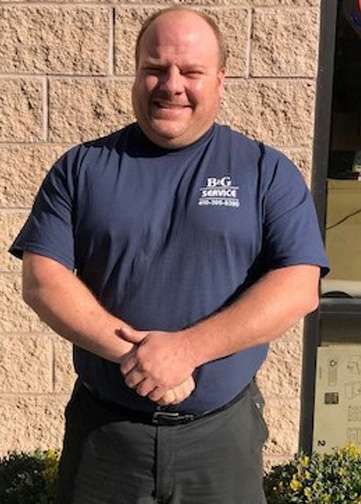 Proud owner of B&G Services, an 18-year-old family owned and operated business, located in AA County. 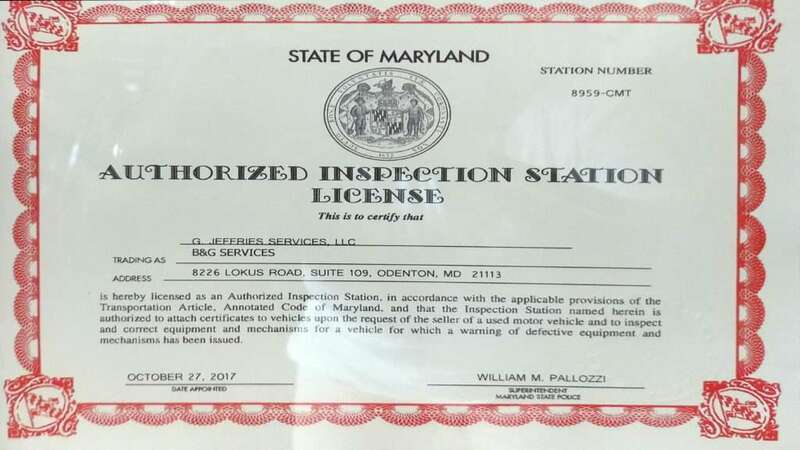 The service center specializes in: Fleet, RV, Construction equipment, Truck, Bus and Automotive repairs. Pete started working at 14 yrs. old at an auto body shop. He graduated from Pennsylvania College of Technology with (46) ICAR certifications. 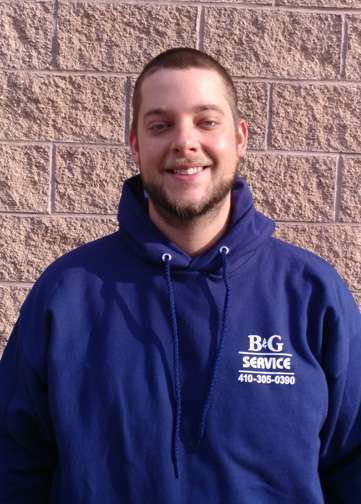 He joined the B&G staff in 2015 and brings his knowledge of Fabrication, Construction and Truck Repair. 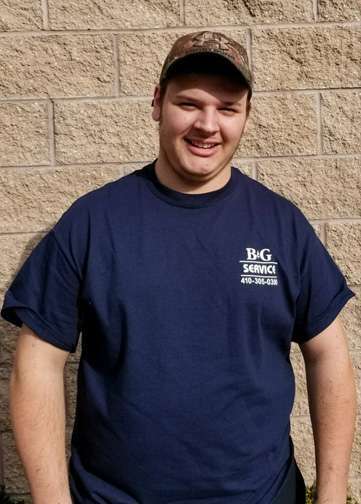 Dustin, the newest B&G Service Tech, completed 2 years of Diesel and Equipment Maintenance Technology at CCBC. Having managed technicians at his former job he brings along his 8 years of technical expertise in Construction and Truck repair. Andrew, son of Greg Jeffries, has been exposed to automotive, construction and general electronic repairs since he could probably hold a wrench. 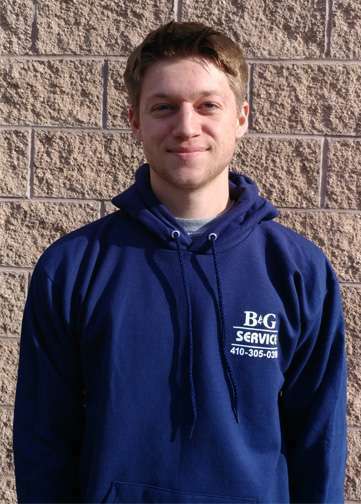 Andrew worked part time at B&G while he was in high school. Greg is proud to send him off to College this Fall! 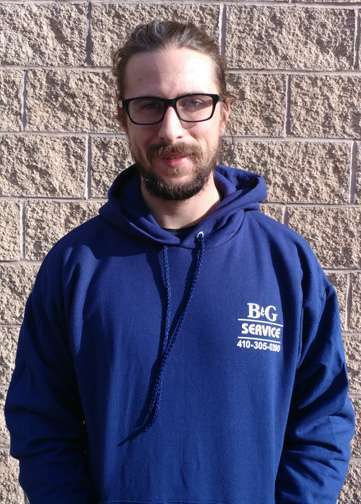 Marlon has worked at B&G for one year now. During which time he has learned how to turn a wrench, and has started his tutelage in diagnostics on domestic automobiles and trucks. Everyone is very proud of him, as he is college bound this Fall! 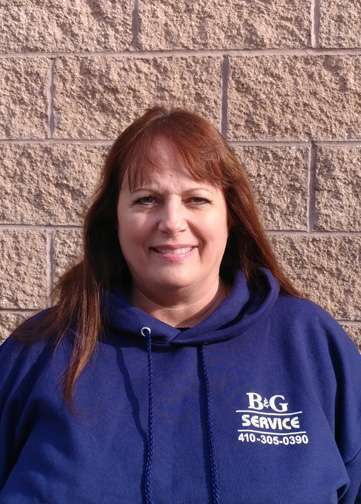 Gina has worked at B&G Services since 2015. She started as the book keeper for the company and after two years she was promoted to Office Manager. If you have any business-related questions, please contact Gina at: admin@b-gservices.net or call (410) 305-0390.